The inaugural Wild Images South East Tibet expedition was a journey to explore some the last corners of Tibetan culture in western China. Its path followed the original Sichuan Tibet highway from Chengdu to Lhasa. Over the course of the expedition our guests were to witness some of the more extraordinary practices of the Tibetan Buddhist faith including mass prayers, printing prayer scripts, monk debates and a full sky burial. It was an extraordinary journey for both photography and expansion of our knowledge of Tibetan culture across this remote region of China. There are around 45 different listed indigenous cultures in Tibet and the region of Sichuan, often known as the “Ethnic Corridor of South West China” by anthropologists and linguists, is home to around 14 of these cultures. The Chinese government has given them an overarching identity as Tibetan Nationality, a name given to the Tibetan people in all of its three regions – Kham, Amdo and Utsang. As Sichuan lies mostly in the Kham region of Tibet, the local people are known as Khampas. Our expedition started in Chengdu where we drove overland through Sichuan and Qinghai to Golmud, on the edge of the Gobi Desert and the spectacular Khunlun Mountains. From there we took an overnight train to Lhasa where we explored the city and journeyed overland to Nam Tso for an overnight stay. Leaving Chengdu, the journey by car to Kangding took around five hours in total and we travelled through a series of modern tunnels, along the edges of the Dadu River, stopping in the tiny village of Lu Ding Xian for lunch. Arriving in Kangding in the early afternoon we instantly saw our first Rong Tibetan nuns. They were just walking along the pavement near the entrance to our hotel so we delayed our check in for a few minutes after they kindly agreed for us to take their photos. After check in we explored Kangding for street photography. Kangding is a centre for the stunning Rong Tibetan people. Walking down the street we were instantly struck by the black felt and elaborately embroidered head dresses worn by Rong women. The first Rong lady who kindly allowed us to photograph her was a beautiful lady called Xmi. Walking further in to the town we found out that the local people gathered in the local square at sunset to dance. Since that was a little time away, we went shopping, photographed some of the Khampa men wandering around town and we stopped to take some shots of some elderly men playing poker and other games near the square. At sunset they arrived. Local people of both Chinese and Rong Tibetan cultures gathered in the central square and united by a common music, they danced. We enjoyed wandering through them taking photos for a while before we decided it was time to head to the newer part of town for dinner. The new section of Kangding has been charismatically constructed as a pedestrian area to give the feel of a cosy weekend getaway for people of Chengdu. It had a lovely atmosphere, great restaurants and shops. It also had a smaller public dance area, this one devoted to traditional waltzes with a small orchestra playing on a balcony overlooking the square. We stopped to watch for a short time before we walked back to the hotel. At night we realised that both the town of Kangding and the traditional Tibetan murals painted on the surrounding cliffs had been beautifully illuminated so we enjoyed a bit of night photography on the way back to our hotel for the evening. Leaving Kangding, our expedition went higher in altitude towards the incredible Tagong Grasslands area. We made a brief stop at Mugecuo Lake but decided to by-pass it in favour of the chance to meet nomadic people and the local people of Tagong. It was a good choice. We started up a winding mountain road out of Kangding and as the trees thinned out, we saw our first nomadic Tibetan people engaged in the harvest of local caterpillars for Chinese medicine. These were the first of many Cordyceps (Codyceps sinensis) caterpillar nomads we met on the trip and from our first meeting we learned a lot more about how these caterpillars are found, their life cycles and what they are used for including respiratory illnesses. The Chinese believe the caterpillar fungus is a perfect combination of Yin and Yang or Animal and Vegetable, due to the caterpillar still being attached to the fungus it lives with when it is found. Driving further up on to the grasslands, we noticed the Chinese architecture giving way to traditional Tibetan houses and we stopped when we saw a rather pretty house on the side of the road. As we did so, the family living there kindly invited us in for a traditional Tibetan lunch of fried yak meat, tsampa, yak cheese and tea. We ate while the two young sons of the family entertained us with their playful antics on the floor. After lunch we were shown around their home which, in traditional style, the ground floor was reserved for animals, the mid floor for living and the top floor for prayers and accommodating special guests. It was a fantastic introduction in to the lives of Tibetan people at home so after many photos we said our farewells and drove towards the town of Tagong. En-route we drove alongside the Liqi river where we saw hundreds of rock paintings. We decided we would try to photograph these in the coming days and drove on to Tagong. After checking in to our hotel we enjoyed a brief visit to the local Lhagang Monastery but it was relatively quiet so we travelled further to a nearby settlement via a police checkpoint to visit the beautiful Tashi nunnery. We did go up to see a nearby sky burial site but when we saw pilgrims and nuns circumambulating the prayer wheels at the nunnery we decided to descend to photograph them. While we sat there we met a tiny Tibetan lady who had joined the pilgrims. She was wearing a large fur hat and a face that told a thousand stories. It was amazing to photograph her and I think we all wanted to adopt her as much as she wanted to adopt us! The next day we started with a sunrise shoot before breakfast at Lhagang monastery. We visited the prayer wheels, watched pony riders take their steeds to the nearby Tagong Monastery and we saw the first of our true Tibetan pilgrims performing a series of elaborate prostrations around the prayer wheels at Lhagang. As we made our way in to the courtyard of the monastery we were pleasantly surprised to be invited in to the White Tara building for the early morning prayer by a single monk. Normally off limits for photography, this was an extraordinary chance to see a prayer room and join a morning prayer session with a monk who gave us the gentle advice to “Not listen to the monkey in our heads that keeps us awake at night”. We finally left and enjoyed a breakfast of European food at a nearby café. After breakfast we decided to visit the rock paintings on the shores of the Liqi River in better light, we stopped to photograph Tagong Monastery in its mountain backdrop and then we went back up to the sky burial site of the nunnery in better light also. It was still quiet up there so we decided to escape the worst light by heading back to Tagong town for a siesta. On that afternoon we did a walk through the streets of Tagong for street photography and we met Angela, an American girl who had married a local Tibetan guy and built a guest house around 15km from town. She invited us to visit so we decided to head there for breakfast the next day. We visited Lhagang and met a lovely monk called Garong Denchen who allowed us to take his photos before we drove back up to the Tashi nunnery for one of the most memorable sunset photo shoots of the trip. We were lucky enough to join an afternoon prayer session with the nuns, watch them blowing horns, visit them in the blockhouse administration building behind the nunnery and enjoy a beautiful sunset. It was quite hard to leave in the end. Only the dimming light really forced us to go. On our last morning at Tagong we also started at sunrise and we checked out Lhagang to see if it was worth photographing but the light was bad so we drove up to the area of Tashi Nunnery and decided to explore the block house village nearby. We saw some girls herding yaks across the nearby grasslands but when we approached them for photos they were too shy so we decided to walk over the hill to the nunnery where we joined the pilgrims doing the kora in the beautiful morning light. We finally left and enjoyed a late breakfast at Angela’s place while we met her family. We also had a lovely time photographing Renzen, one of the employees at Angela’s, before we left Tagong for the drive out to Luhuo. Our drive from Tagong took us via Daofu where we started to see some traditional Daofu country houses. Sadly they gave way to the very drab looking town by the same name. Since it was the half way mark of our trip, we decided to stop at Daofu for lunch but we quickly moved on. Just a short drive beyond the town, we stopped in the pretty village of Daofu houses called Deerwa and we met some really friendly local people, one of whom tried to marry our guide off to her daughter! It seemed like a good prompt to continue our journey so we travelled towards Luhuo, making a brief stop to visit a (sadly deserted) black wool nomad tent for photos. A little further down the road we met our first traditional Tibetan horsemen and their families which we really enjoyed chatting to (via our guide) and photographing! After we arrived at Luhuo we checked in and walked up the hill towards the Shuoling Monastery high on the hill behind the town. It was a rather steep walk up through a scattering of block houses but the view from the hill over the town was wonderful. We caught the monks as they enjoyed their evening meal and prayers and we explored the monastery complex before we descended in to town to watch the evening dances. This was a similar event to the dance we had joined in Kangding but slightly larger. Stopping to photograph the dancers for a while, we decided we should try and find a local restaurant for dinner so we enjoyed a meal of Tibetan dumplings and Chinese beer at the end of a long day. Today was the day we tried to get in to the world’s largest institute for Tibetan Buddhist Studies at Larung Gar. This community has been off limits to tourism for some time but it was rumoured to re-open in 2018 so we decided to take our chance on a visit, to see if we would be allowed to go. Leaving Luhuo we made a brief stop to photograph the block house community on the hill but the building nearby had a rather vicious dog so we continued with our journey. Arriving at Wengda, the neighbouring town of Larung Gar, there was security everywhere. We walked up a nearby hill to see if we could bypass the check posts but sadly at the top of the hill we saw that the access points had been completely fenced off so we walked down and we found some very kind Tibetans who had offered to take us in to Larung Gar in the boot of our car. We nervously decided that their offer probably wasn’t going to be wise so we tried to enter Larung Gar officially through the checkpoint. We weren’t successful. The police, although they were very polite and we enjoyed a bit of banter with them, weren’t going to budge. We left their post, went into Wengda for lunch at a local café and we decided to drive further on to the second biggest institute for Tibetan Buddhist studies at Yarchen Gar. It was a wise decision. The drive over was absolutely spectacular as we went by the beautiful lake of Kasa and through the stunning Ganzi mountains towards Yarchen. Around seven kilometres before Yarchen we stopped to photograph the ancient monastery of Changen before arriving at Yarchen for the sunset. Arriving at Yarchen we were stunned to see many monks wandering around the settlement. We found the giant Buddha on the hill that overlooks the town so we drove up there and walked to find the most stupendous view of the nun settlement at Yarchen, surrounded by a large bend in a river so we stayed up there until the light forced us down. We drove to a nearby town where we checked in to our hotel for our two night stay at Yarchen. The next day we woke up to a beautiful sunny morning in Yarchen so we drove back up to the hill to get a view over the settlement. From there we wandered down to the nunnery area via a series of meditation buildings scattered around the hill above the river. We visited a local “Tibetan Greasy Spoon” café for breakfast before walking into the “nun slum” of Yarchen. We tried several different paths in to the residential area that was home to thousands of nuns but we were turned back by a few cautious residents. We eventually managed to find our way through the nuns houses to the nunnery beyond it. There we found the nuns had largely vacated for the morning so we enjoyed a quiet exploration of the building before climbing the stairs to the roof of it to see what the view was like. Reaching the top, the sunny skies of the early morning gave way to clouds and we began to notice thousands of nuns making their way towards us to start another prayer session. We had a lot of fun sitting on the steps of the nunnery photographing the assembling nuns before we decided to leave them and join yet more nuns for lunch at a local tiny café. After lunch we walked down to the nearby monastery where we met many monks leaving a prayer section. By this time the clouds were joined with strong winds that swirled a lot of dust in to the air. As we stood photographing the monks we noticed vultures flying around the sky burial site on the hill behind Yarchen so we decided that we would go and see if one was taking place. Walking through the town we met our driver and went up to the site. We arrived towards the end of the first ever sky burial any of us had ever witnessed! It was a macabre, yet fascinating, event to watch and quite something to see a flock of Himalayan Griffons arguing over two human hands connected by long threads of human skin! We decided to simply watch, rather than take photos, out of respect for the family in attendance. Towards the end of the ceremony, the specially appointed man who was charged with preparing the body for the vultures noticed that we seemed to like these birds so he collected up a number of vulture primary feathers which he gave to us as a parting gift. 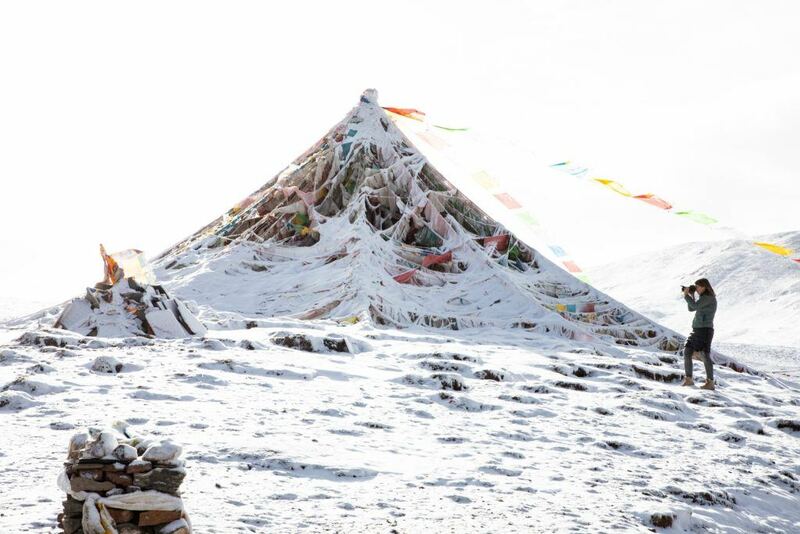 In the end that sky burial was probably the most profound event that all of us will remember from this trip! Driving away from the site the snow began to fall so we took shelter in the only hotel at Yarchen and had a coffee before deciding to have an early finish with hot showers and dinner at our hotel. We woke up on our last morning to realise that it had snowed quite heavily at Yarchen. It had dusted our town the colour of white and seemed heavier towards Yarchen itself so we hurried through breakfast, packed our bags in to the car and drove over to Yarchen via the numerous prayer wheels that adorned the field surrounding the town. It was an incredible morning in Yarchen. One where we photographed robust Tibetan ponies trying to graze through the snow in the nearby fields. We watched an elderly nun feed a group of baby marmots in the snow. We joined pilgrims walking in the snow towards Yarchen and then we went up to the viewpoint to photograph the settlement in a stark contrast to the bright sun and blue skies of the previous day. It was incredible to see the entire area contrasting so greatly from the day before. We decided to walk down through the settlement to the same little café we had breakfast at the day before. On the way we saw the same morning mass prayer we had seen the day before so we visited it then stopped to look at it from over the wall behind it. After breakfast we decided to check the sky burial site but nothing was happening there so we left Yarchen and drove further on towards the city of Baiyu. We reached Baiyu, after a lunchtime stop to visit some pretty little block house style chortens on the side of the road. That afternoon we visited the nearby printing monastery at Baiyu. It was lovely and we saw a strange prayer ceremony that seemed to involve a lot of alcohol. We also visited the print block library and met two gents who were engaged with carving prayer blocks by hand. Leaving the monastery we watched one of the monks burn offerings of cypress leaves in the chorten of the monastery. We tried to drive a steep and curvy concrete road on a neighbouring hillside from the monastery to get a view from above it but we realised the view wasn’t worth it. We did, however, see our only Koklas Pheasant of the trip up there. We decided then to go and try to see the ancient monastery of Khartok. The drive out to this beautiful monastery seemed like it was taking forever but we finally reached it just as the sun was setting. Khartok was located in a steep valley surrounded by spectacular block houses on all sides. Given the fading light we raced around taking as many photos as we could and then we were entertained to see the mocked up sky burial sculptures around the monastery itself before the lack of light forced us to leave. We drove back to Baiyu in the dark and enjoyed a meal in town before going to bed after a long day. From Baiyu we drove back in a similar direction that we took to Khartok but instead we detoured and visited the extraordinarily beautiful monastery of Dzongsar. We arrived just in time to see the monks in the monastery at the bottom of the hill gather for their daily debate. It was an incredible experience to witness this debate of adult monks as the only western visitors present and we walked near to them taking photos of them debating in the beautiful courtyard of the monastery. Just as they were finishing we noticed a group of young monks had started to finish their morning prayer and they were gathering on a nearby patch of gravel, also to debate. We went over to photograph them leaving their prayer room and also debating in a different section of the courtyard. It was such an incredible event to witness we had to think of good reasons to actually leave them and visit the monastery on the hill. Walking up through Dzongsar town we met a family of traditionally dressed Tibetan people who kindly allowed us to take their photos before we drove up to the main monastery on the hill overlooking the town. We arrived for prayers so we joined a number of monks wearing yellow pointed hats in a prayer hall filled with the sounds of chants, drum beats and trumpeting. We met two really nice old women in the prayer hall and simply enjoyed this event for nearly an hour. As it concluded we had a tremendous time meeting the local people outside the prayer hall, visiting the neighbouring kitchen, complete with its stuffed yaks and bears on the balcony outside and then hanging out with the local Kham men and young monks of the monastery. Dzongsar eventually became another highlight of the trip.  It surprised all of us with its friendly people, spectacular hilltop location and stunning photographic opportunities. We drove into the village for a late lunch and reluctantly left Dzongsar to continue with our journey. That afternoon we drove from Dzongsar following the upper reaches of the Yangtze River, to Dege, the home of the famous printing monastery of Parkhang. After we checked in to our hotel we went to visit the Parkhang but found out we weren’t really allowed to do photography inside it when we arrived. Inger argued the ridiculous nature of the photography ban at the door and while we reluctantly agreed to lock our DSLR cameras away in the cabinets provided, we were eventually allowed to take pictures inside there using our phones. It seemed the guards were really frightened of the security cameras inside the building so we quietly did what we were allowed and took some discrete photos of the site. The Parkhang was empty of workers by the time we arrived but that didn’t detract from the stunning beauty of the building itself with its adorned doorways. We left and visited the near deserted Gengqing monastery next door until the late afternoon. As western travellers we seemed to be a novelty to the local monks at Gengqing and they invited us to an early morning prayer session the next morning that is normally off limits to tourists. The next day we rose at sunrise to join the monks of the tiny Zhuqing Monastery (within the Gengqing Monastery complex) at prayers, accepting our kind invitation from the day before. Inside the tiny and dimly lit prayer hall we enjoyed photographing the groups of monks chanting by candle light. After 40 minutes or so we decided to leave them to complete their prayer and we walked out in to the prayer candle vestibule of Gengqing where our guide, Dawei, kindly acted as our model for photographs. We decided to try and visit the Parkhang again with our phones for photos. As we were entering the monastery we were grabbed by a really friendly old Tibetan lady who insisted we walk the kora with her and who invited us in to tea. Sadly we didn’t have the time. On this morning’s visit to the Parkhang we were lucky enough to see the workers of the printing press in action so it was definitely worth going back there. The obstreperous guard from the previous day also was absent so we had a bit more freedom to take photos and videos with our phones. We climbed up on to the roof of the monastery to see the views over Dege town before we left the complex to do some shopping. We finally left on the long road to Yushu. The drive to Yushu from Dege was truly spectacular as we crossed the Haizi Shan mountains, stopping to watch pilgrims take their foot drawn cart through one of the modern tunnels in the mountain that avoided traversing the 4600m plus above them. This drive was mostly following the ancient Tea Horse Route between Sichuan and Qinghai. We visited the stunningly beautiful blue lake of Yulong Lacuo with its snow capped peaks and beautifully painted mani stones adorning the shoreline. Driving on from there we visited the palacial, yet deserted, monastery of Dzogchen before we drove further towards Sershul. It was on this stretch that we finally started to see the first wildlife of the Tibetan including no less than ten Tibetan Foxes. We also saw around 30 Ruddy Shelducks , 60 Bar-headed Geese and upwards of 500 Black-lipped Pikas that day. As the sun was getting lower we visited the incredible monastery of Sershul to attend prayers and the most spectacular sunset monk debate of the trip. The next morning we woke early to visit the largest Tibetan Mani Stone Wall in the world. Home to an estimated 2.5 billion mani stones, the Yushu Mani Stone Wall is the largest of its kind in existence. We spent a few hours here photographing the pilgrims circumambulating around it, visiting a tiny nunnery next to it, buying mani stones to place on the wall as part of our visit, shopping for yoghurt and basically enjoying the morning at the wall with the local people of Yushu. We returned to our hotel for breakfast and wanted to visit some markets but we quickly realised that the nearby market wasn’t as traditional as we thought it would be so we checked out and started the drive to Qumarleb. A short detour on the road between Yushu and Qumarleb took us to the 1300 year old Amitaba monastery, located in the caves of a steep valley that was adorned by prayer flags. We explored this tiny monastery for a while before we drove to the town of Longbao for lunch. After lunch we traversed the Haxiushan Pass (4815m) stopping to photograph around 15 Himalayan Griffon on a dead Tso. We also saw more Black-lipped Pikas and our first flock of Goa, or Tibetan Gazelle. Stopping at a police checkpoint we ended up spending more time than we thought there because the police were so fascinated by seeing three western girls in a car, they invited us in for tea and selfies in their office! Leaving the checkpoint we followed the edge of the Tongtianhe River towards Qumarleb, stopping to visit another vulture dinner and to experience more wildlife encounters. Later that afternoon we arrived at Qumarleb in freezing weather to check in to our hotel. After breakfast at Qumarleb we left to cross the spectacular Kekexili Plateau, home to some of the Tibetan Plateau’s more spectacular wildlife. On the outskirts of town we stopped to photograph some prayer flag poles in the snow and we saw our first flock of White-lipped Deer on a nearby hill before we crossed the snowy and cold Jia Long Shan Pass at 4556m. We tried to photograph some nomadic people on the other side of the pass but they seemed a little shy so we continued on with our journey. We spent the entire day travelling across the plateau, stopping for wildlife until we reached the remote outpost town of Budongquan. Over the course of a day we saw hundreds of gazelles, nearly 200 Kiangs, wolves, foxes, pikas, around 40 Chiru and a variety of birds including Upland Buzzards, Himalayan Griffon and Bearded Vultures. Arriving at Budongquan after driving across Kekexili we checked in to the hotel and had a small break before we went out for an afternoon drive where we had a close encounter with a Lammergeier on the side of the road, we found more Chiru, Kiangs and we stopped to see if we could photograph Ruddy Shelducks on some high altitude lakes but they were really shy. We also stopped to photograph Black-lipped Pikas near their burrows on the walk out to try and get closer to a Wild Yak. We enjoyed a last, early morning drive in Kekexili this morning where we managed to find some more cooperative Chiru and Kiang to photograph. The traffic of trucks, however, was heavy so we decided to leave on the drive towards Golmud, crossing the remote Khunlun Mountains at the edge of the Gobi Desert. It was quite a dramatic drive off the plateau into the desert like peaks of the Khunlun! We stopped to photograph the vast mountains with their remaining snow from an established viewpoint just before lunch at a roadside stop that seemed to be a post for provisioning mountaineers in the local mountains. We also visited the Taoist monastery of Wuji Dragon and Phoenix Palace, the gates to the Khunlun and some local hot springs. Arriving in Golmud it seemed to feel like an oasis of green in the desert. We had a little time up our sleeves so we stopped to enjoy a farewell dinner with Dawei and our driver, Zhuo, before we said goodbye and boarded the train to Lhasa. When we boarded the train we suddenly found ourselves the centre of attention for a group of Chinese women who were also tourists on the train. It seems they might not have met many western women so we were the centre of hours of fun with selfie photos as our train retraced some of our steps towards Budonquan towards sunset. We woke up to see some really spectacular Tibetan Plateau scenery unfolding from the windows of the train. We were also asked for more selfies with Chinese tourists before we finally disembarked in Lhasa and were met by our guide Dorjie who took us to our hotel. Thankfully our rooms at the hotel were ready so we had a break before heading out on to the streets of Lhasa for some street photography. We first went to visit the tiny nunnery of Ani Sankhung and then we wandered the back streets around the Jokhang, visiting monasteries like Ramoche, drinking tea with the locals and exploring. After stopping for a drink at the Shambhala Palace Hotel we walked around and we found the first of several wedding couples that we enjoyed photographing around the Jokhang before enjoying an early dinner in the city. Today we tried to visit Drepung for photography but it was so restricted that we gave up and decided to head back in to the city instead. We visited the beautiful prayer site and candle room at Sangye Thongu which was less restricted but we were still under the watchful eye of China. We enjoyed watching hundreds of yak butter candles being lit inside the candle hall but in the end the heat of all of them drove us outside. We left and walked past the Pothala to find that two favourite cafes from previous visits had closed. So we found the largest tea house in Lhasa to enjoy lunch with the locals. After lunch we all enjoyed a little free time and shopping. We met up later in the day for more street photography and we caught the tail end of a Tibetan opera before we visited a local dice game session in the alleyways of Lhasa. We found a nice little local Tibetan restaurant for dinner that night. Today we left Lhasa after breakfast for the seven hour drive to Nam Tso. En-route to the lake we stopped to photograph some prayer flag poles and just before we crossed the pass to the lake we saw our first vulture dinner, seven Blue Sheep and a Wallcreeper. Over the pass the landscape flattened and became gigantic as we approached the lake so we spent some time photographing some yaks and ponies near the lake shore after we checked in to our hotel. We had a light lunch and a rest before we decided to walk the kora around a nearby hill next to the lake at sunset. Walking the kora we met a young Tibetan couple with their baby who showed us through a nearby grotto. We also met a monk named Tanba Namgyal who was living like a hermit in a cave next to the lake. Further around the kora we met the elderly nun Kuncho Choedon who had spent all her life living in Nam Tso with her daughters and she kindly invited us for tea and fried bread before we continued around the kora. The kora was beautiful with reflections on the lake and many waterbirds like Ruddy Shelduck and Bar-headed Geese. It was breathtaking for photography physically and literally. As the sun was setting we stopped to visit the mani stones in the last light before we returned to our hotel for dinner. This morning we decided to walk a final kora around the hill but sadly we didn’t find as many people. The views were still very beautiful though. We went back to our hotel and packed our bags to check out. As we left the lake we found some nomadic people so we stopped first to photograph Dalha with his goats then a local nomadic woman herding yaks. We crossed the pass and drove back to Lhasa, arriving back at around 330pm. That night we enjoyed a dinner at a local Tibetan theatre restaurant with Dorjie and, after noticing him squinting, we decided to buy him some glasses so he could see better! The next morning we woke up and decided to go and do photography around the Kora circuit of the Jokhang. 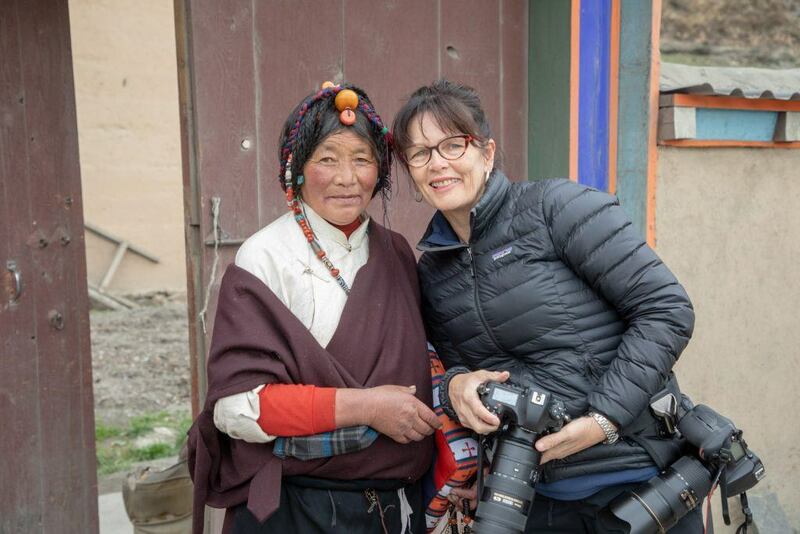 It was wonderful to spend some time with the pilgrims on our last day in Lhasa. Inger and Doris even met a lovely group of Rong Tibetan women who had made the journey to Lhasa to visit this, the most holy site outside of the Potala in Tibet. We entered the Jokhang at around 10am and had the privilege of meeting the head monk of the Jokhang named Tenpa Donsel. At 84 years old he had lived in the Jokhang for over 30 years after relocating there from Sera. He was still teaching over 100 monks inside the Jokhang so it was quite an honour to meet him. After we politely left, we explored the inside of the Jokhang where we were granted an extremely rare privilege – the opportunity to take photos discretely inside it! It was absolutely amazing! We left towards the late morning and on this, our last day in Lhasa, we took the opportunity to do some last minute running around, shopping and buy Dorjie his glasses! We met later that night at the Shambhala Palace Hotel with our guides and driver for a final dinner to celebrate our trip. On our final day of the expedition we departed Lhasa for an early morning flight to Chengdu where our trip ended.